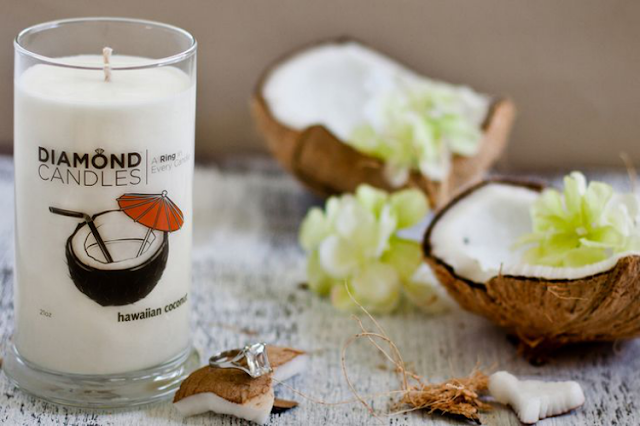 I am obsessed with tropical smelling candles - the ones that fill your home with a fragrance that immediately transports you to the nearest beach complete with Mai Tai in hand, and that is why I am so excited to partner with Diamond Candles for a giveaway today! 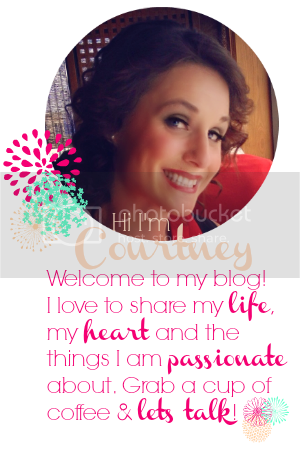 If you haven't heard about this fun product, let me be the first to introduce you! Diamond Candles was creatively inspired by a man wanting to surprise his wife with a beautiful diamond ring for an anniversary present. How romantic right?! His wife loved scented candles and so when he was picking some up to present along with her ring, he got the idea for these fun candles. In each Diamond Candle, a beautifully adorned ring awaits the holder - valued at anywhere from $10 - $5000!! 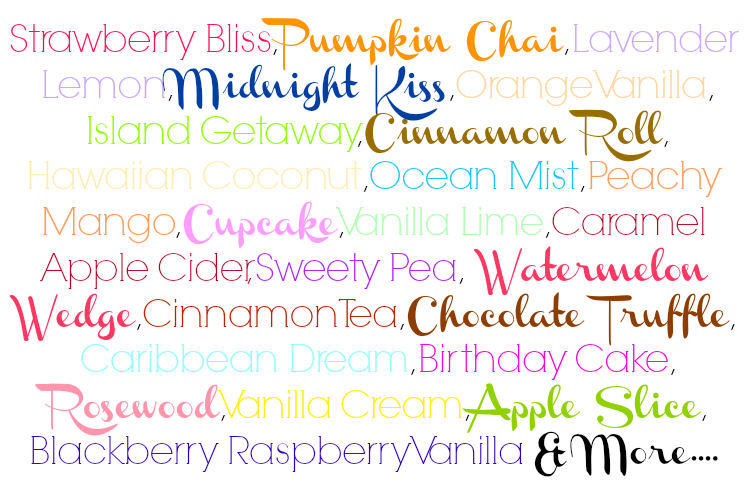 The candles come in a luxurious variety of flavors - and are made of earth-friendly soy wax! 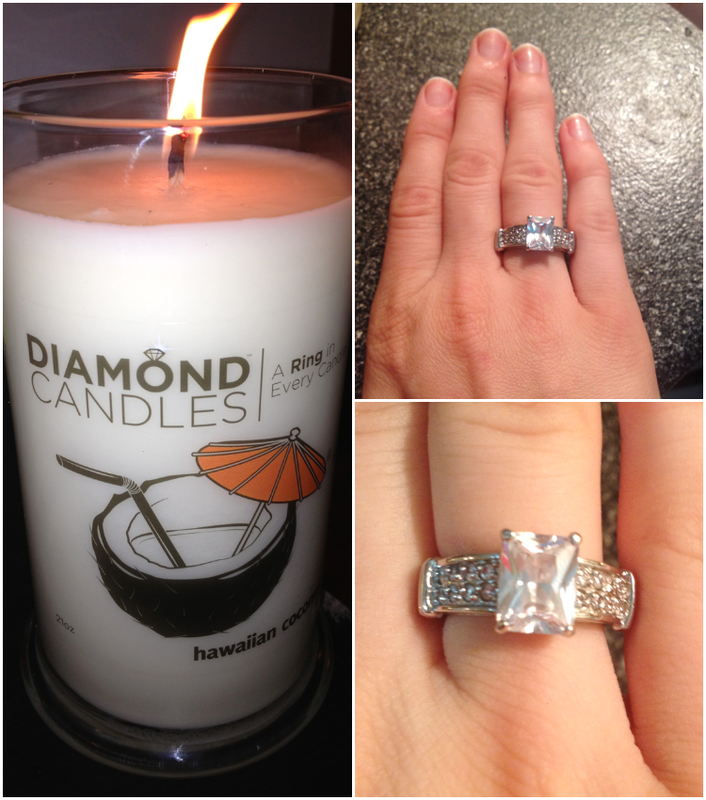 I received a free Diamond Candle to enjoy and share with you - and I have to say, I am impressed! I wanted to be able to share pictures of my "buried treasure" with you, and in order to do so, I had to burn the candle all day long for almost a week!! That means, if you take your time with it, delaying the gratification of finding your ring - this candle would last you a very long time. As for the fragrance, I chose Hawaiian Coconut and the scent definitely permeated our apartment. I do feel that the scent waned over time, and was the strongest in the first couple of days of using the candle. I love that the candle comes in a glass cylinder with a lid, I already have plans to reuse this container now that my candle is finished. I love the ring! While it does feel like a 6.5, slightly small but still wearable, I love the design of this ring! I'm 99% positive it falls into the $10-100 range only because the stamp inside the band doesn't appear to state 14k or something similar. I can't really make out what the stamp says. Either way - I had so much fun waiting to find my ring - and then the moment of opening the golden foil packet, it was like I was Charlie opening a Wonka bar hoping for a golden ticket! Overall, I am a big fan of these candles and I think they are such a great gift idea. I know you will love them as well, so I'm thrilled to have the opportunity to giveaway one of them here today! Its simple to enter, just use the Rafflecopter widget below. Good luck! Glad you liked yours more than I did mine! Mine was definitely a $10 ring, it didn't even have a stamp... It also looks like something a 5 year old would wear lol. I love the ring you got! It is beautiful! I wondered for a minute whether or not it was real, but I'm pretty sure its not. 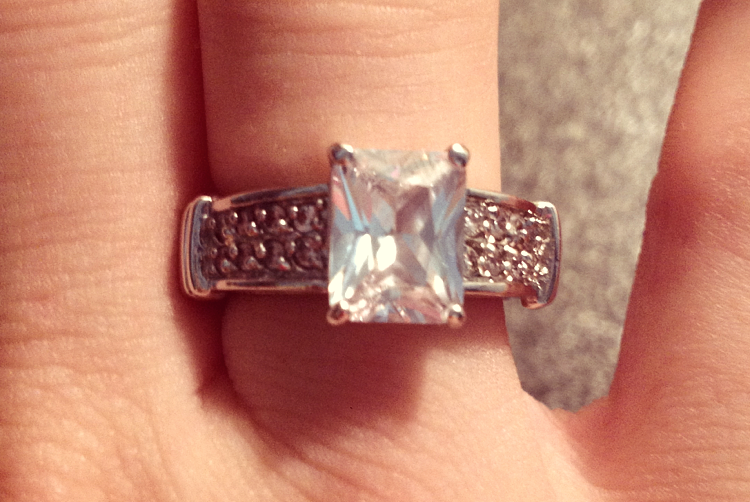 :) Looks like an engagement ring! Such a fun idea! I love your comparison to Willy Wonka. I would totally feel that way! Ooh that candle sounds like it smells so good! I love tropical smelling candles, so picking the Hawaiian coconut was an easy choice! Hope you win another! I hope you win!! These candles are delicious!! I'll email you so we can coordinate a get-together!